I’ve had several of my followers pass along information related to the March 10th bankruptcy filing for F+W Media, the parent company of Family Tree Magazine. They wanted to make sure I knew what was going on and many have asked not only how the bankruptcy filing impacts me as an affiliate, but also the impact on authors, content providers, and consumers. I’ve been aware of the financial issues at F+W Media for several years merely through observation of corporate decisions and also through several non-payment incidents. Keep in mind that in 2008 the law firm for whom I worked – Heller, Ehrman – filed for Chapter 7 bankruptcy which is different than Chapter 11. I saw the signs then too: payment only made by paper checks and no electronic funds transfers, layoffs, lack of information from management. Eventually the confidence level of everyone – creditors, consumers and employees – leads to an implosion of the company. For my old firm, Chapter 7 meant total liquidation and they owed me (and over 1,000 employees) lots of money in back wages. For me it was close to $40,000. So the employees got together as a class, hired attorneys, filed a class action lawsuit and we’ve been able to recover over 50% of what was owed to us. The F&W Media bankruptcy is a Chapter 11 filing which means there is a reorganization and it, as well as its entities, are all open for business. It also means, however, that anyone owed money prior to March 10th, will need to wait in line to get paid and those payments must be court approved. So for me, right now I’m out about $1,000 covering affiliate payments for sales in January, February, and part of March 2019. Do I expect to receive payment? Perhaps. In terms of the pecking order of creditors, the affiliate platform Rakuten would have a higher standing than any individual creditors. It has likely hired its own attorneys and represents many affiliates of other F+W Media entities. This certainly puts me on a better footing than authors and content providers. Still, as hopeful as Chapter 11 bankruptcy seems, I don’t think many creditors besides the bankers and those who have loaned money to F+W Media will get paid. Part of running a business is taking risks as well as looking for opportunities. You always run the risk of being owed money by someone with whom you partner for opportunities. I am fortunate in that the Family Tree Magazine income stream is very small compared to my other streams including larger affiliate programs, publishing, and lecturing. See my comments below on the F+W Media bankruptcy and its impact on the genealogy industry. All in all, I will likely take a $1,000 loss write-off when it comes to settling my business accounts at the end of 2019. And as of March 10th, I’ve stopped using Family Tree Magazine affiliate links and promoting their products. I don’t have confidence that I will be paid for any affiliate sales made after March 10th. The folks who write the genealogy and family history books for Family Tree Magazine as well as those who create online course content are the ones I worry about the most. Many of the leaders in the genealogy education community are owed huge sums of money in royalty payments. More importantly, the status of the rights to their own work has not yet been settled from what I can surmise. In past situations where a publisher goes out of business or reorganizes, they will sell the publishing rights to another person or another company. This is all part of the contract you sign when you create content for another company. I produced content for Family Tree Magazine for several years, but stopped about 2012 when I realized I could produce the same content – books, articles and webinars – for myself without giving up control of my publishing rights. I realize that self-producing in not for everyone and I really hope that my colleagues and friends who have content with Family Tree Magazine are able to be “made whole” in the near future. This includes full payment of past royalties and writing fees as well as restoration of publishing rights. What Can You Do as a Family Tree Magazine Consumer? 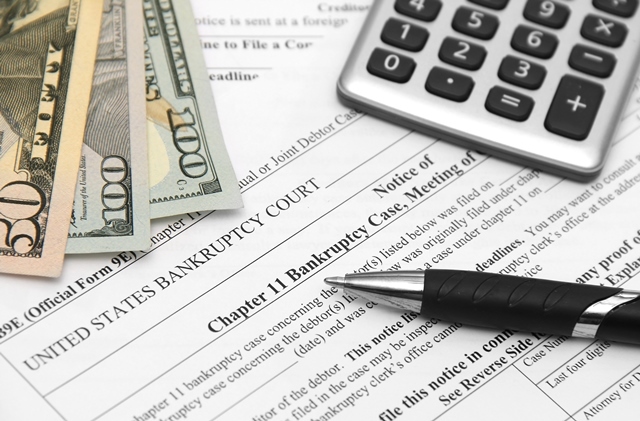 The consumer impact of the F+W Media bankruptcy is uncertain. First, Family Tree Magazine is open for business and it appears that most everything is running like it did prior to March 10th. 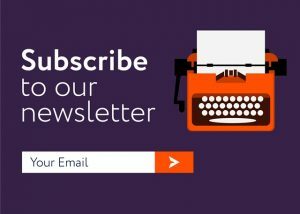 I have had several reports of not being able to download content that had been purchased, missing a magazine issue delivery, that the customer support number goes unanswered, etc. But I have been unable to verify these and so far I’ve only received five or six complaints from my followers. If you have purchased content from Family Tree Magazine and you are able to access it, please make sure you save the content to your computer and then create a backup. If you cannot access the content, check to make sure you are following the correct procedures, using the correct links, and are logged in at the Family Tree Magazine website, etc. Otherwise the only remedy I can see is calling the customer support number or contacting them via email on the Family Tree Magazine website. And as far as I know, online courses are on schedule. And please drop a note of thanks to your instructor. Many of them are following through on their commitment to providing quality genealogy education not knowing if they will get paid for their work. Magazine publishing is a dying industry. Ancestry knew this several years ago when it got out of the magazine business. Ancestry Magazine ran from 1994 through part of 2010 and you can access all issues for free at Google Books (click HERE). I don’t expect any of the large genealogy companies (Ancestry, Findmypast, MyHeritage) to swoop in and pick up Family Tree Magazine at a bargain. Even the catalog of content (books, webinars, online courses) does not make this an attractive opportunity. I do think that F+W Media will sell the publishing rights to the content to one or more companies. This does not always work out well for the content producers unfortunately. Likely by the end of 2019, F+W Media will file for Chapter 7 bankruptcy which means liquidation. And hopefully this would free up the publishing rights to the content producers. Personally this entire process is much like ripping off a bandage: I just think F+W Media should get it over with and should have filed for Chapter 7 right away. Blame is always so easy to assign when it comes to failing enterprises. Rather than talk in terms of blame, how about we examine possible causes? Read the article An Alternate Ending for F+W Media at Lost Art Press for a fascinating look at the origins of F+W Media and how it got to this point. In my opinion, the main cause for the F+W Media is corporate greed and mismanagement. We see this same formula over and over again in the United States. Management usually walks away unscathed, with golden parachutes, and the employees and creditors are left scrambling. One factor in the demise of Family Tree Magazine and the attractiveness of its content is this: the ability of genealogical societies and professional genealogists to produce their own educational materials for the consumer market. Since webinars were first introduced by DearMyrtle several years ago with a follow-up by several others including Legacy Family Tree Webinars, there has been a tremendous impact on how we learn about genealogy. Everything from ethnic research to methodology to DNA. Genealogical societies are fulfilling their educational mission to their members by producing webinars and conferences. And the more successful societies are being rewarded with increases in membership and attendance at events. Look closer at the genealogy education market via webinars and you understand why MyHeritage acquired Legacy Family Tree over two years ago. And do you remember Ancestry Academy? As good as the content was (and it was excellent), Ancestry came late to the genealogy webinar game PLUS it never looks good for a major genealogy company that charges for access to records and family tree building to then charge an added fee to learn how to use their product. 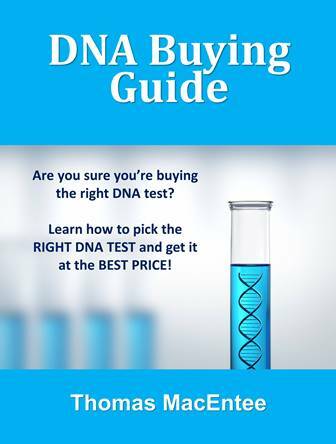 Yes, I realize that much of Ancestry Academy content dealt with methodology, but the way Ancestry markets their webinars is much different than the techniques employed by Legacy Family Tree. Legacy Family Tree has an extremely loyal following – bordering on “cultish” . . . Ancestry Academy, not so much. Individuals, including professional genealogists, realized that they too could have more control over their own content thanks to advances in technology. Add in the ability to market their wares using social media, then there is no longer a need for a publisher to do all the work and take the bulk of the proceeds. 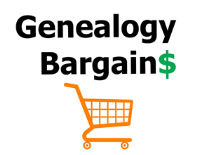 And thankfully, in the past ten years we’ve seen the consumers in the genealogy community realize that education and content have value and that there is a fee to access these offerings. Yes, we still see some who expect everything for free. But we’ve also seen the fees paid to webinar speakers, conference speakers, and content creators increase. These fees are still “below market” when compared to other industries, but we would need to discuss the subject of hobby-focused industries to solve that issue. What does the future hold for genealogy education? I think it will continue to see individual producers of content offering a variety of items including books, quick sheets, webinars and virtual conferences. I also think we’ll see several individuals join together forming ventures that provide quality live and on-demand content. I hate to say it, but after the F+W Media bankruptcy, many genealogy content providers will be hesitant to work with large publishers to bring their work to market. And what we are seeing in the genealogy industry is happening across the entire publishing spectrum. Traditional publishers are struggling to compete with free content via YouTube and websites. Click HERE to visit the F+W Media Case Management page by Epiq.